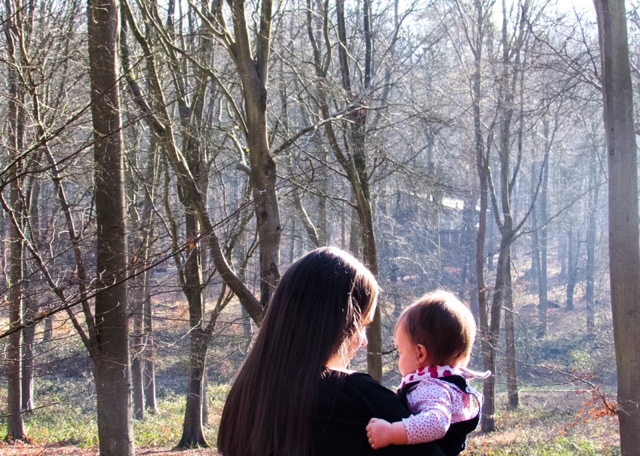 MOTHERHOOD: Is it what I expected? As it was Isabella's first birthday yesterday I've been doing a lot of reminiscing about the past year and what a year it's been. Everyone warns you how much a having a baby will change your life and they're not wrong, everything changes. Mostly for the better, though some of the changes are for the worse - oh how I hate the constant worrying/guilty feeling! Having said that when I think about my life before Isabella it makes me sad...it makes me sad to think there was a time she wasn't in my life. Strange really as there have been a lot more years without her, than with her. I blame the incredible new level of emotion that was created within me after having Isabella. One thing I've been thinking a lot about is whether this whole parenting role has been what I expected...what I thought it would be. The short answer is no. It's more intense, emotional and most importantly rewarding. Who knew you could be so proud of your baby eventually doing a poo after two days of nothing? Or that you'd laugh so hard when you, the changing mat and your baby are all covered in said poo? Or that you are genuinely impressed when your child only wakes at 10pm, 12am, 2am, 4am and gets up for the day at 5am. That's a good night's sleep in parenting world isn't it?! Firstly, let's talk about sleep...or lack of it. The most given piece of advice while I was pregnant was to make the most of the time I had left to 'properly' sleep. I say 'properly' like that because anyone who's been pregnant will know that it's seriously uncomfortable business and a good nights sleep is a luxury even then. So I was fully expecting very little sleep when Isabella finally arrive and I have to say that we actually didn't find the first few months too bad at all. My husband and I weren't struggling to function due to lack of sleep and because Isabella was so small she'd spend a lot of time feeding or sleeping, meaning our days weren't too exhausting in themselves. However fast forward 12 months and we often have nights of a lot of getting up to rub Isabella's back to get her back to sleep. The majority of the time I'm strange and love getting up to see her, though there's no real interaction I miss her when she goes to bed so I'm grateful of a quick cuddle or kiss on the head. When I go back to work I'm sure I won't be enjoying the get ups as much, but for now I don't mind. But was this what I was expecting? No. I thought that we'd have little sleep for a few months, then Isabella would start sleeping through and we'd be bright eyed and bushy tailed come the morning. Almost all of my friends who have similar aged babies have the same lack of sleep, or should I say broken sleep. Most nights Isabella sleeps well, she just wakes up anywhere between 1-5 times but within 5-10 minutes she's usually back asleep. It's my issue of getting back to sleep that results in a lot less sleep! Another area that has surprised me, in the best possible way, is the sheer emotion and love I have for Isabella. People do say that the love you have for your children is different, it's unconditional, it's forever...and they're not wrong. I can't put into words how much I love our little girl and how every day she makes me burst with pride. I can't actually believe that it's possible to love someone as much as I love Isabella, it's an overwhelming emotion that has come with lots more incredible feelings including happiness, thankfulness and protectiveness. I feel so honoured to have her as part of my life and I can't believe it's forever. I get to share and create so many special memories with her and my husband. What an honour. There are obviously many more aspects to parenting, some which are more on the challenging side but overall parenthood has exceeded my expectations and I feel so so lucky to be Isabella's Mummy. Was parenthood what you expected? The sleep thing - a friend and I were talking about this this morning, that you expect babies to learn to sleep fairly quickly; that people keep asking if your baby's sleeping through yet; that there's all this pressure to sleep train them and get your nights back to the way they used to be; and it's not fair on either babies or new parents. Yes, we'd LOVE to get more sleep at night but it's awful setting people up to have to battle against their babies when we would be encouraged to just ride it out.